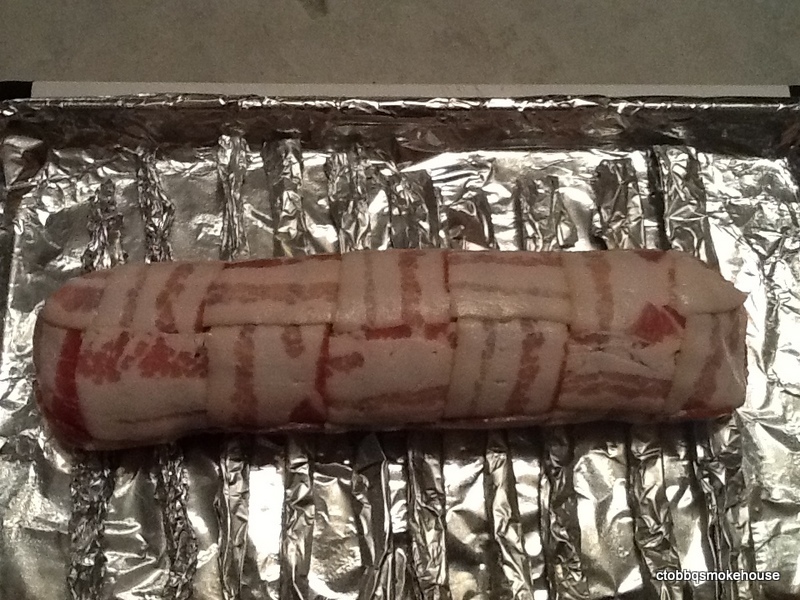 Using 12 slices of bacon create the bacon weave on a piece of plastic wrap. On a piece of plastic wrap press ground beef into a square 1 inch smaller on all sides than the bacon weave. Season the beef with the Cajun seasoning. Saute the mushrooms. Mix the cream cheese, green onions, mushrooms and lemon juice. 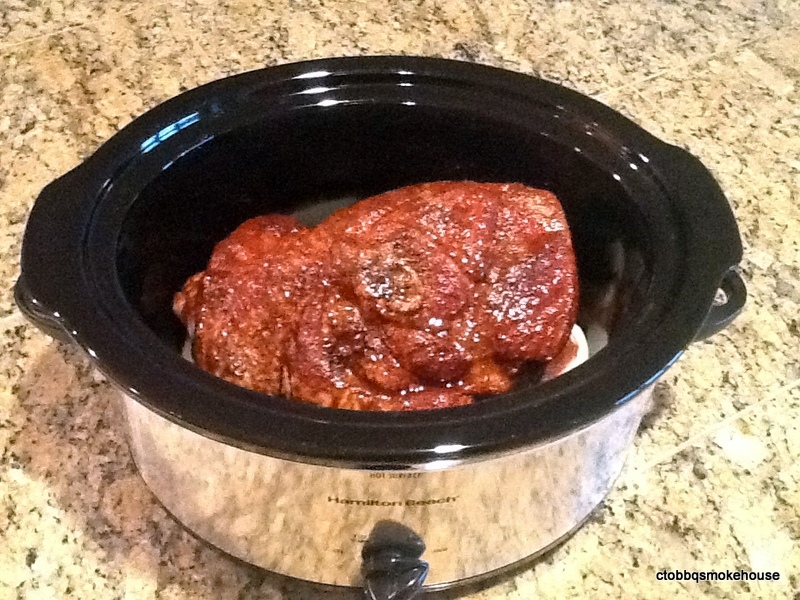 Spread the mixture evenly on top of the beef leaving a 1/2 inch border around the edge. 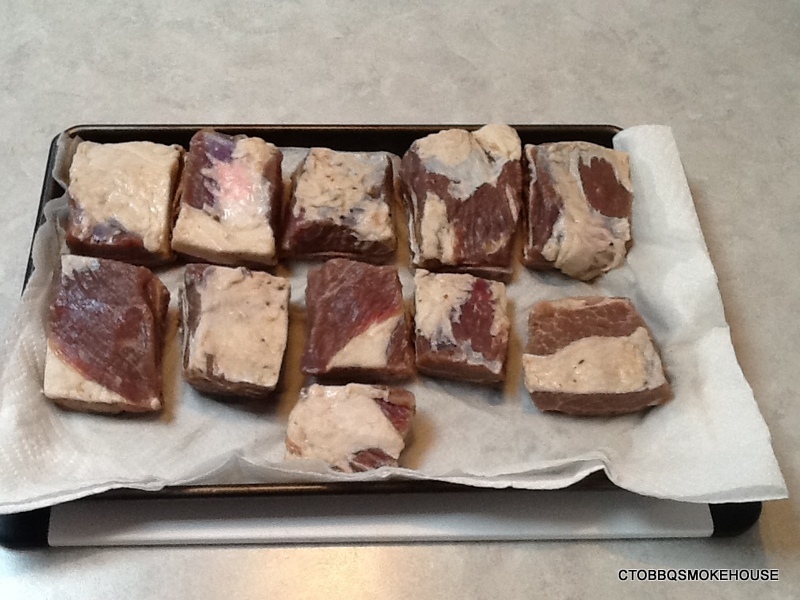 Lift the plastic and roll beef into a roll. Use a fork to seal the beef on the seam and ends using the tines of the fork. 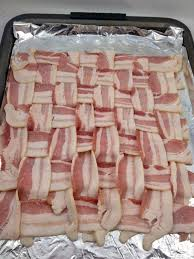 Transfer the beef roll to the bottom of the bacon weave. 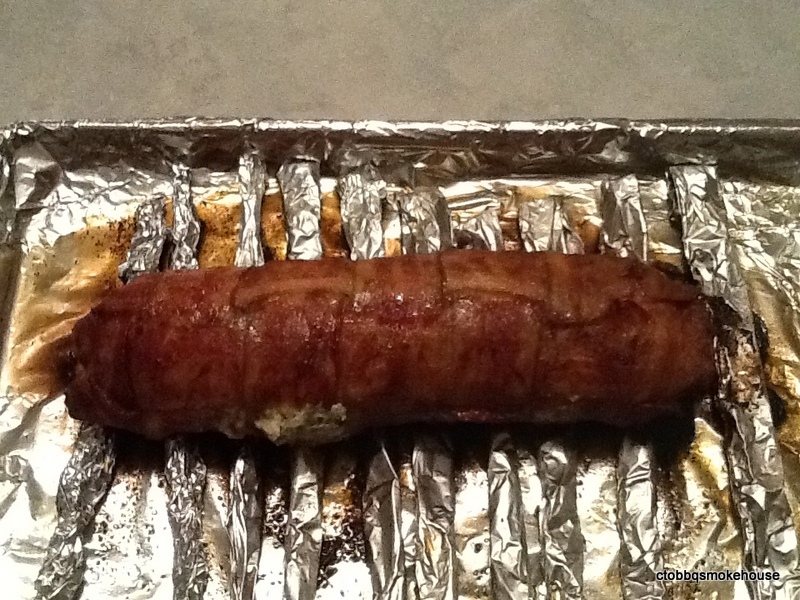 Using the plastic under the bacon weave, roll up the beef roll and fold the bacon over the ends. 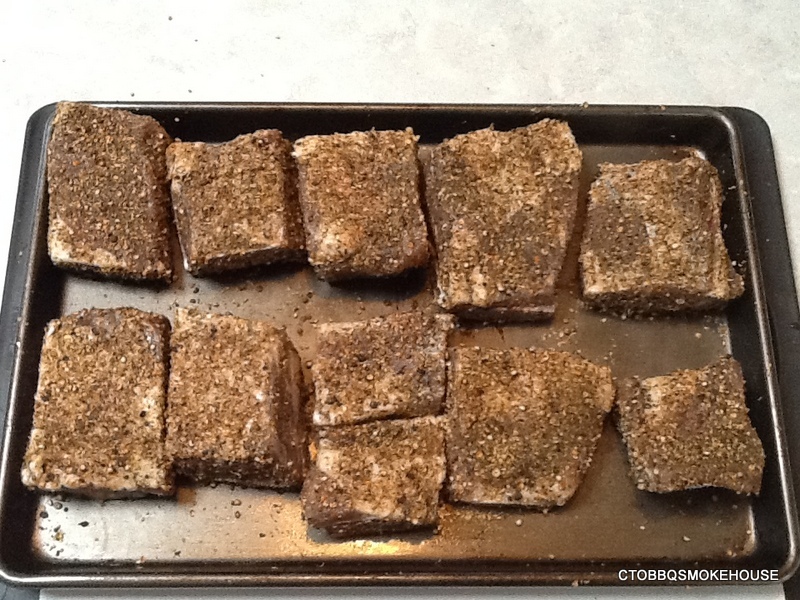 Place Beef roll seam side down on a baking sheet with a wire rack lightly sprayed with Pam. 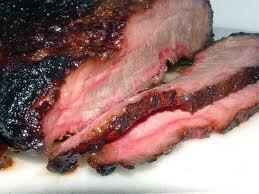 Place in a smoker preheated to 325 degrees. 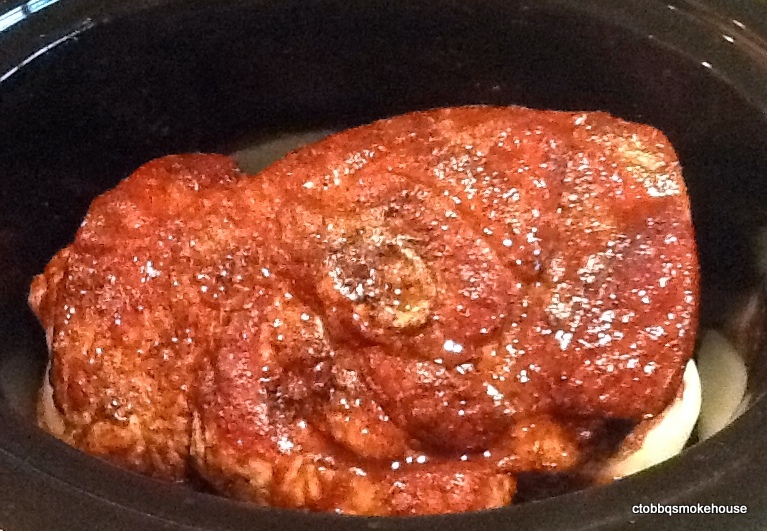 Smoke until an internal temp of 160 degrees is reached, about 1 1/4 hours. 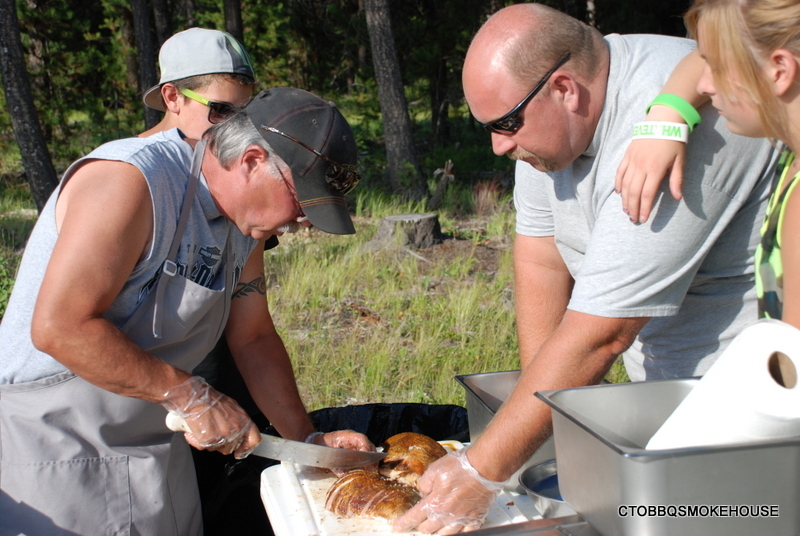 Remove from smoker and tent with foil for 15 minutes. 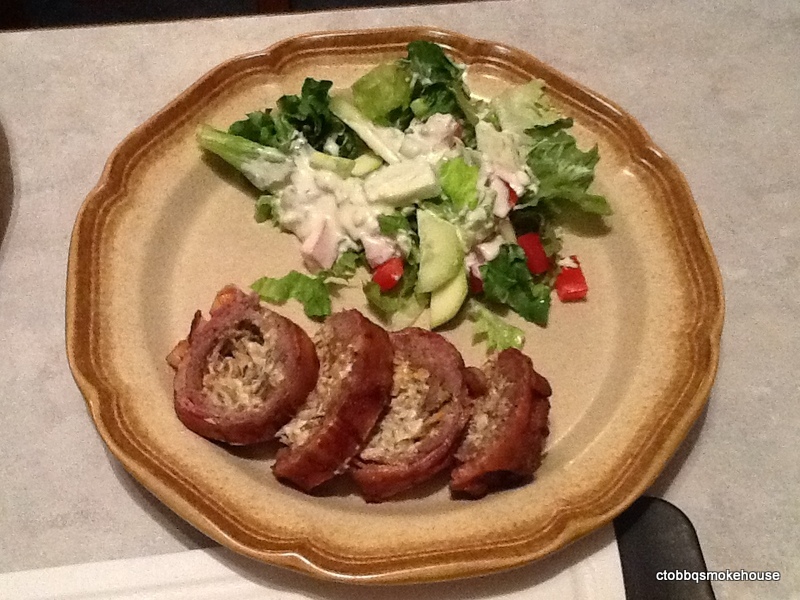 This entry was posted in Bacon Weave, Ground Beef. 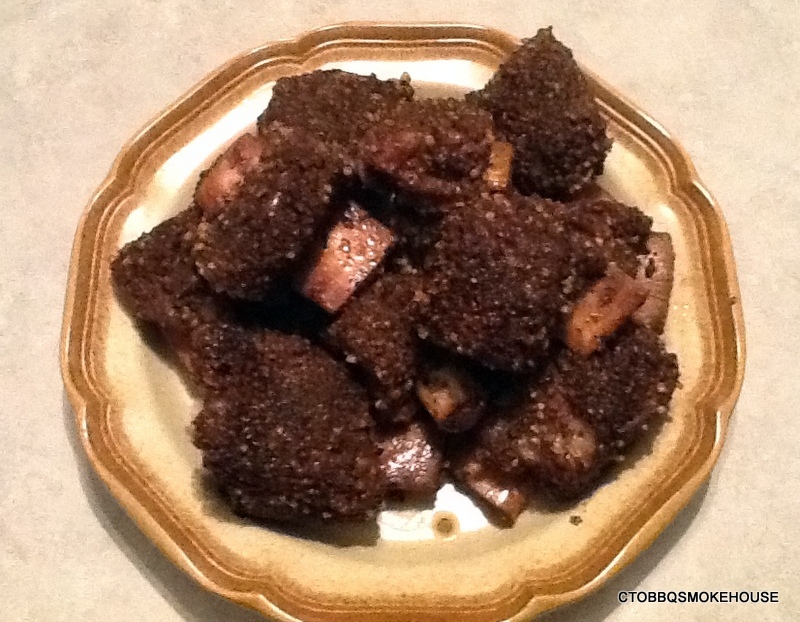 To make Jamaican Jerk, it requires a two phase cooking process. 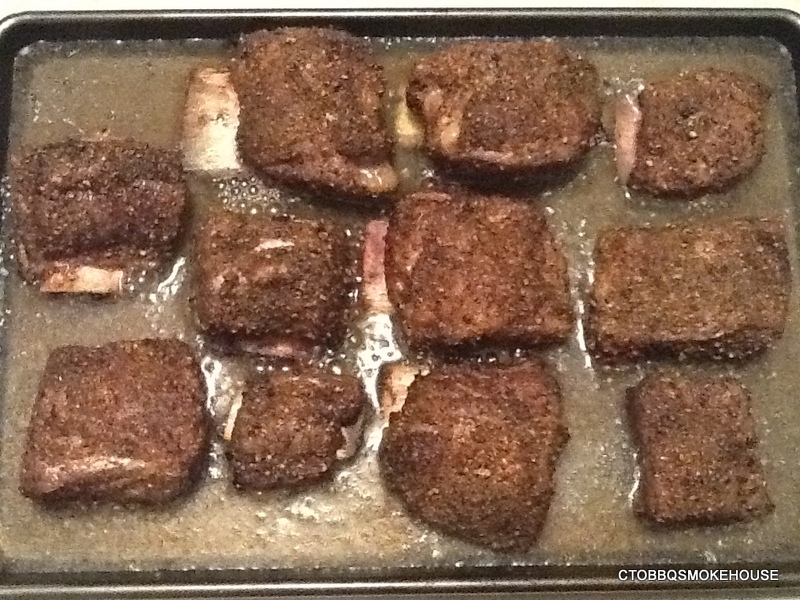 The first is searing the meat over direct heat, and the second is smoking over indirect heat. 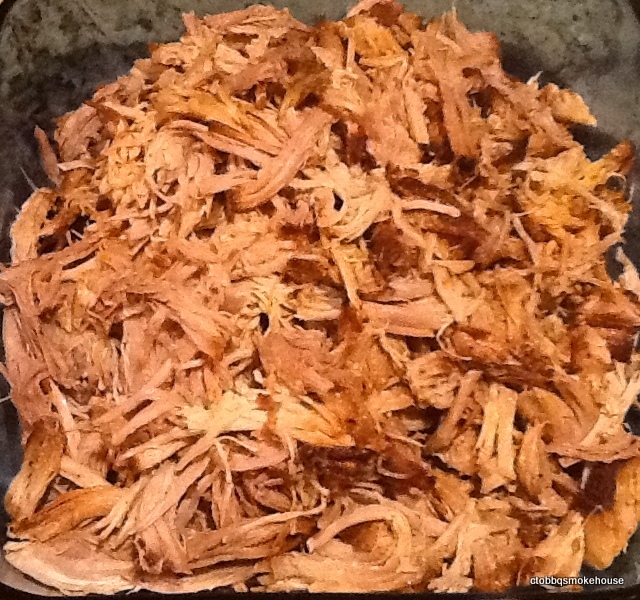 I prepare both chicken & pork using this recipe. 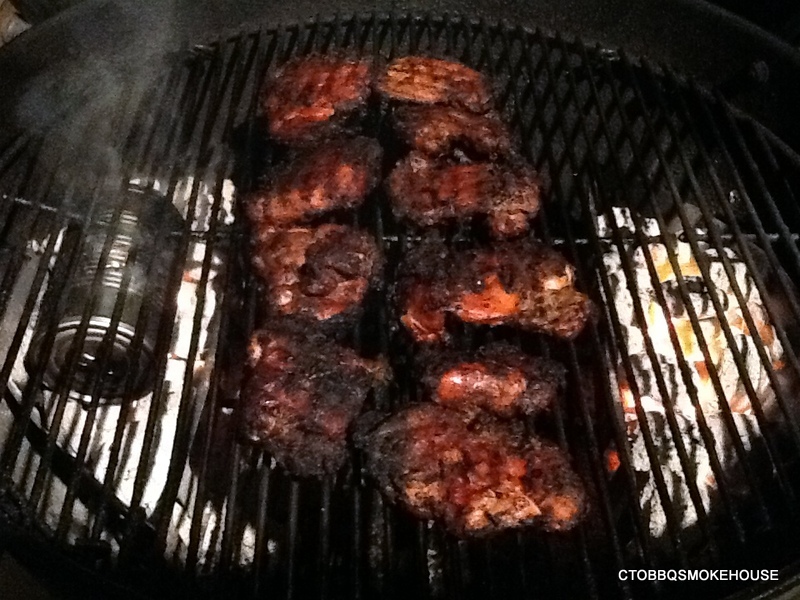 I like to use my Weber Kettle, charcoal, and wood chips. For the wood chips I use a broth can that I partially open the lid and then poke holes in it. 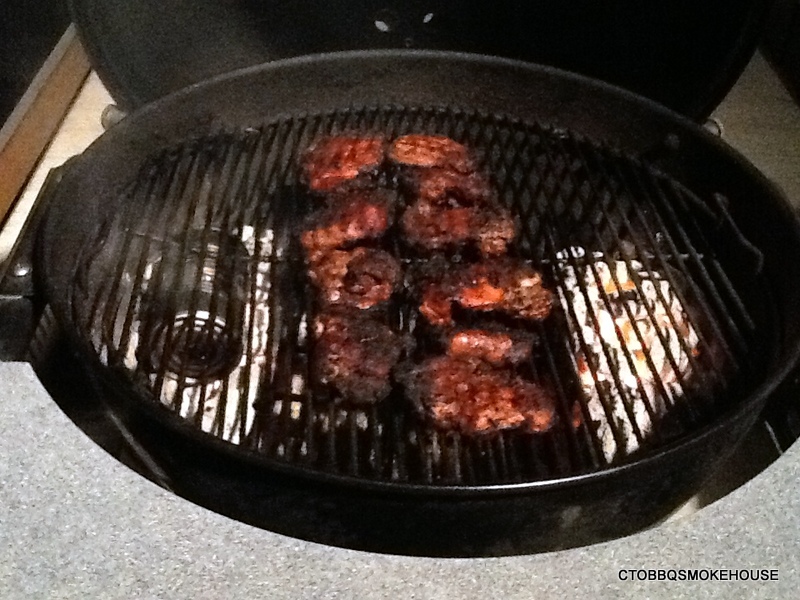 Add the wood chips, close the lid and throw on top of the charcoal. 1 medium onion. 3 green onions. 1 habanera chiles. 4 garlic cloves. 1 Tbsp. 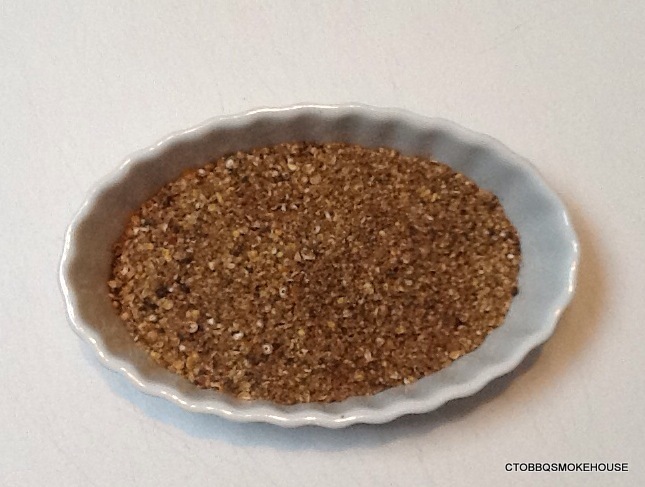 Chinese five spice. 1 Tbsp. allspice. 1 Tbsp. black pepper. 1 tsp. thyme. 1 tsp. nutmeg. 1 tsp. salt. 1/2 cup soy sauce. 1 Tbsp. oil. 4 lbs. 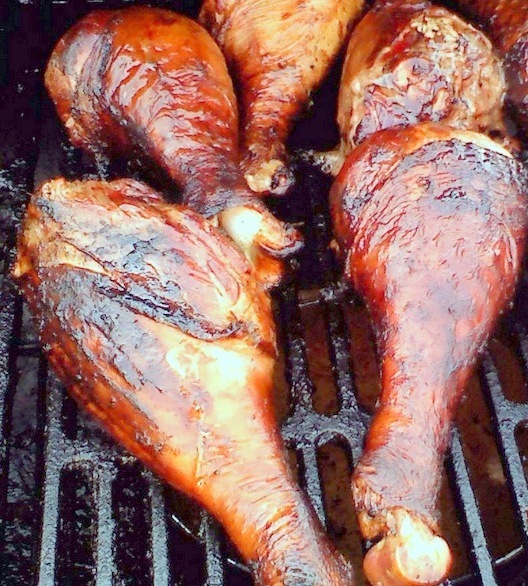 thighs & breasts. Process all ingredients except the chicken in a food processor. Pour into a plastic bag and add the chicken. Marinate over night. Sear over medium coals until a nice dark bark is achieved. 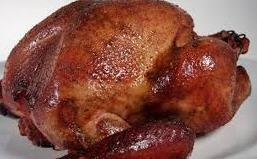 Move chicken to indirect heat. Put a can of wood chips directly on the coals. 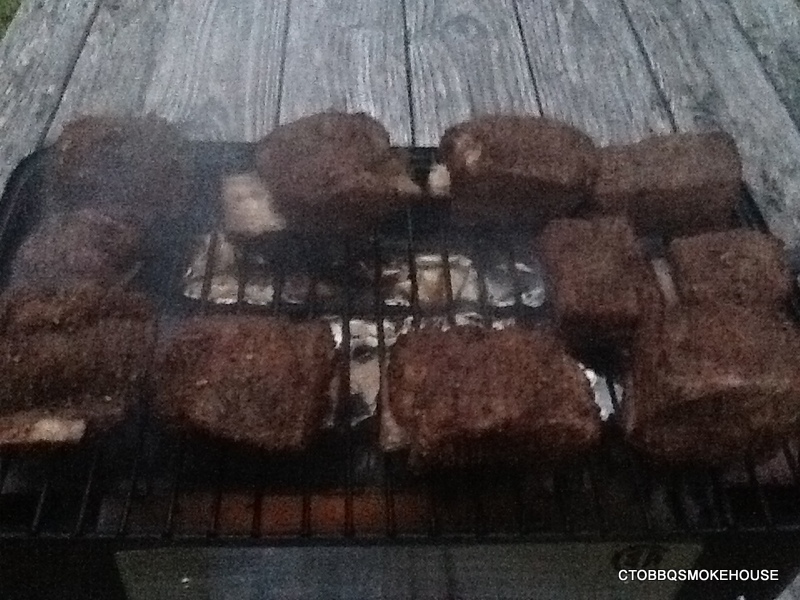 Close lid to grill and smoke for 1 hour. This entry was posted in Poultry and tagged Chicken, Jamaica.